Hey all, it's time to introduce the Rustic Wreath, it is a fun set. You will be very pleased with this set. I had used Barn door distress ink to ink up the wreath, and then used the other twig stamp to heat emboss in gold. I stamped the cones in brown ink, and the sentiment in the center of the wreath. I also stamped some scattered leaves, like it is falling to the ground , in front of the door. Few jewels to finish off. I had stamped the wreath in Wild Wasabi from SU, and then added the other twigs in brown, and some red berries. Sentiment is computer generated you will see many cards with this sentiment, as she wanted her sentiment in French, and these cards are winging their way to Canada very soon. As usual a few jewels to finish off. Love your colours and the stamped strip across the bottom of the first card looks fabulous. One of the prettiest wreath images I've seen and your showcases elevate it to WOW! 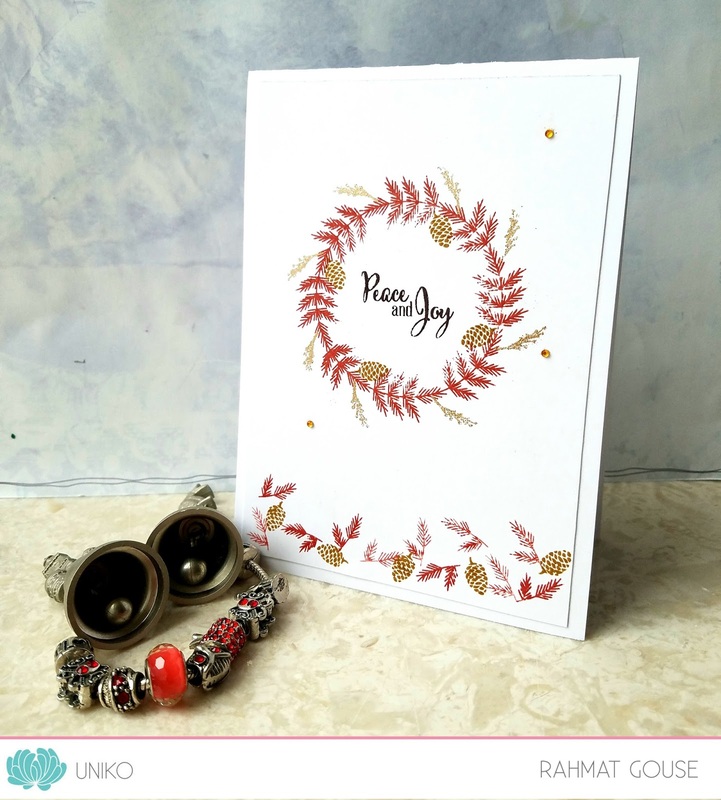 Feeling joy in seeing these wonderful designs; especially swooning over the pine cones! 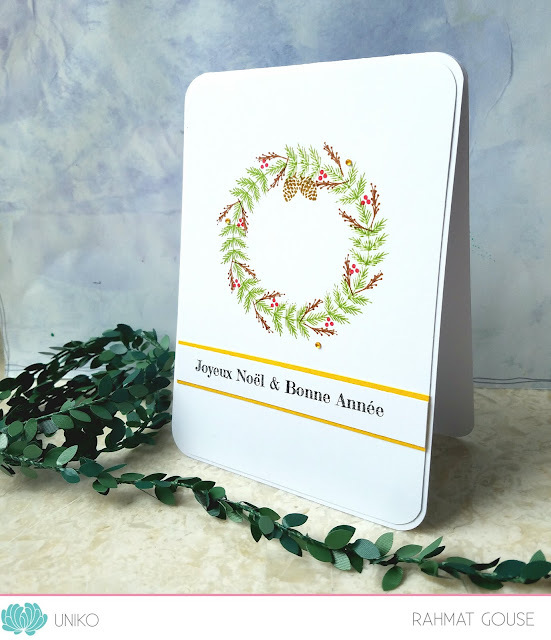 Stamping the wreath in red is such a great idea, and I really like the little border using the individual stamps along the bottom of the card. Beautiful color combos on these lovely cards! The wreath design is just gorgeous... bound to be my favorite set! I just love wreaths and this one is exquisite! So many possibilities with the other elements in the set too! Stamping the wreath in red is so original and looks great! And using the individual elements in the border along the bottom of the card is a lovely addition.